NEW BREMEN, Ohio (November 30, 2017) – Northgate Markets, a chain of supermarkets in Southern California, is reaping the results of its recently fortified safety and compliance efforts at its distribution center in Anaheim. 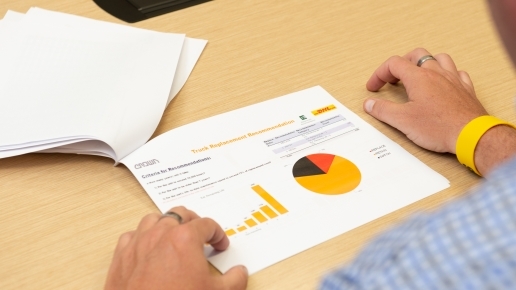 Working with Crown Equipment, one of the world’s largest material handling companies, the family-owned and -operated business has achieved its lowest injury rate in 11 years and reached full compliance with forklift operator pre-shift inspection requirements. Looking to improve inspection documentation and impact avoidance, Northgate Markets implemented Crown’s InfoLink® wireless operator and fleet management system to monitor and manage every motorized vehicle in its fleet. 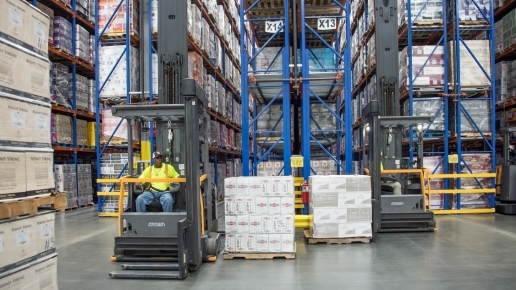 This includes more than 100 Crown forklifts and non-Crown equipment. From setting impact thresholds for each forklift to electronically filing vehicle inspection data and impact reports, InfoLink has helped Northgate Markets improve operator compliance, productivity and safety. In fact, since implementation, the company has seen declining workplace injury rates for the past three years. Northgate Markets material handling fleet varies from forklifts working in the elements outdoors to reach trucks working on smooth floors indoors. According to McCarron, the ability to adjust InfoLink’s impact thresholds to meet these various applications has been crucial to minimizing impacts while also modifying operator behavior. For more details of how Northgate Markets and Crown work together, visit the Customer Results section of the Crown website.